These partners, private and public, accompany us each year in the development of our projects. The Enlarged Partial Agreement on Sport (EPAS) is the European Council’s platform for pan-European cooperation and is dedicated to sport. Project : EPAS has supported Sport and Citizenship in the creation its journal’s special issue “Sport and Human Rights” (September 2016). Sport and Citizenship is also a member of EPAS’ Advisory Committee. The Ministry of Urban Affairs, the Youth and Sport (MVJS) prepares and implements the government’s policies in relation to physical activity and the practice of sport. Project : The MVJS supports Sport and Citizenship in the management of its actions, and especially in the realisation and distrubution of its journals and publications. The Pays de la Loire Region’s policy is aimed at promoting the social and educative fonctions of sport, while contributing to the development of all practices within its territory. Project : The Pays de la Loire Region supports Sport and Citizenship in the conduct of its actions and includes the Think tank as a partner particularly for the Regional Advisory Conference’s work on Sport. This forum for discussion began in 2006 in the Loire region. French National Olympic Committee (CNOSF) is the representative of the French sports movement to the public authorities and represents the International Olympic Committee in France at the same time. Project : Sport and Citizenship was a partner of the CNOSF in the framework of the Sport For Everyone project, backed by the European Commission as part of its Erasmus+ Sport programme. Furthermore, Sport and Citizenship provides European sports news monitoring for the CNOSF. The French Football Federation (FFF) est is a recognised non-profit organisation dedicated to coordinating the football practice. Project : Besides its federal role, the FFF is committed to social engagement. The Federation demonstrates this by promoting the practice of football and by providing populations in remote areas with access to the sport. The FFF has collaborated with Sport and Citizenship in order to highlight its aforementioned social actions and to take part in public debate concerning those issues. Due to the fact that sport embodies values of integrity, team spirit and equal opportunity, the FDJ Corporate Foundation has made it the guiding prinicipal of its social engagement since 1993. High-level sport, disability, and solidarity in the broadest sense of the term are three areas to which the FDJ is committed. Project : In 2015, the FDJ Corporate Foundation launched the Sport Solidarity Debates in collaboration with Sport and Citizenship. The purpose of this event is to examine the role of sport in society and the way in which sport can shed light on society’s evolution. The second edition of the Sport Solidarity Debates took place in Paris on November 29th 2016. OPCALIA is an organisation (organisme OPCA) agreed by public authorities that collects training funds in the form of annual fees that businesses pay for the continuous vocational training of their employees and so that can OPCALIA finance the training through different schemes. Project : Together, Sport and Citizenship and OPCALIA have carried out an overall, reflective discussion on the reconversion of professional athletes (round table to be held in May 2017) as well as the roles that physical activity and sport play in the improvement of quality of life at work (book of the same title published in December 2016). Malakoff Médéric is a mutual insurance and joint social welfare group that iscommitted to lending its support to disabled persons. This has been one of the Group’s priorities for a long time. Through this action, Malakoff Médéric’s objective is to cover the essential aspects of a life well-integrated in civil society. Project : Malakoff Médéric has supported Sport and Citizenship in the conception of the ‘Sport, Health, Education’ conference (June 2016) and the publication of a special ‘Sport, Disability, Accessibility’ journal. The National Federation for “Profession, Sport & Loisirs” (FNPSL) is dedicated to accompanying, promoting and perpetuating qualified employment in sports and sports animation careers. Project : Sport and Citizenship has collaborated with the FNPSL in order to share and create a reflection concerning employement in the sports domain in Europe. The project will take the form of a special journal edition and a conference on the same subject. (March – April 2017). 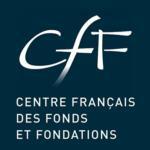 The French Center for Funds and Foundations (CFF) works to amass endowments and foundation funds. It’s mission is to further knowledge in the sector, encourage the sector’s development, and to represent common interests for the benefit of the common good. Project : Sport and Citizenship collaborated with the CFF for the publication of it special magazine edition “Question of Funds” (“Questions de Fonds”) dedicated to education through sport (March 2017). KEA European Affairs is a consulting firm which specialises in creative and cultural industries, including sport. KEA aims to emphasise the roles of culture and sport for both European projects and sustainable development in relation to the economy and the society. Project : KEA European Affairs has been a loyal partner of Sport and Citizenship since the Think tank’s creation 10 years ago, providing its services and advice concerning European political matters. Click here if you’d like to pilot a project with our Think tank!